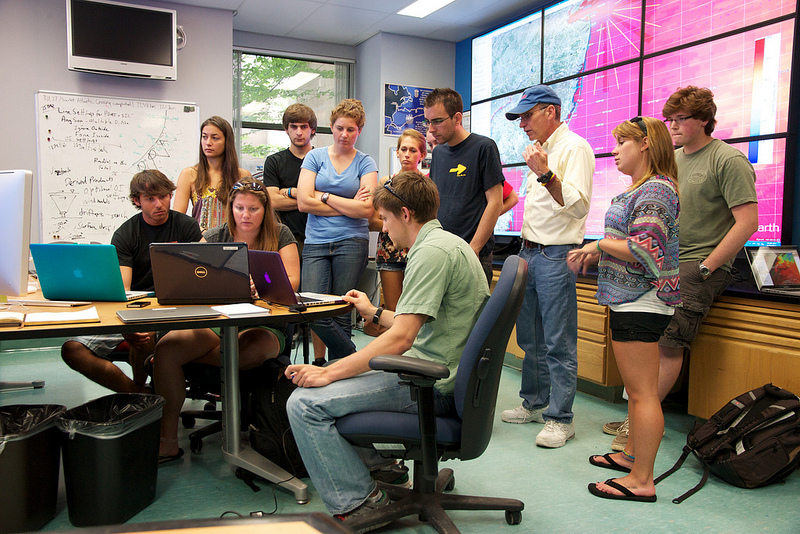 The Coastal Ocean Observation Lab at Rutgers University (RU-COOL) is using Unidata and other open source technologies to collect, process, and make available a wide range of ocean data for use by students and researchers. We believe that our collection of real-time and historical oceanographic datasets will aid in understanding the physical and biological ocean processes impacting the Mid-Atlantic region, leading to improvements in maritime safety and ecosystem-based management strategies. Using the funds from our 2011 Unidata Equipment Award, the RU-COOL purchased 2 Dell PowerEdge 610 servers. The first server, equipped with 96GB of RAM, replaced the previously outdated compute server we use to acquire and process real-time datasets from 2 direct broadcast satellite dishes, 36 high-frequency radar systems for measuring surface ocean currents and our fleet of more than twenty autonomous underwater vehicles (AUVs). These assets form the operational backbone of the Mid-Atlantic Regional Association Coastal Ocean Observing System (MARACOOS), which is part of the NOAA Integrated Ocean Observing System (IOOS). The new compute server has greatly increased our ability to automate to process, merge and distribute these datasets. With the new server in place, we have implemented a new optimal interpolation scheme to create hourly surface current maps of the Mid-Atlantic Bight. The 36 radar stations operate on different transmit frequencies, resulting in different ranges and grid resolutions ranging from 6km grids out to 150km offshore to 1km grids in Raritan Bay/New York Harbor, Delaware Bay and Chesapeake Bay. The dedicated computing power has made it possible to merge the raw radial datasets from each type of system and create high-resolution current maps every hour. The resulting datasets are used as inputs for regional ROMS, WRF, and SAROPS (US Coast Guard Search and Rescue Optimal Planning System) models, and as planning tools for the New Jersey Board of Public Utilities offshore energy planning efforts. 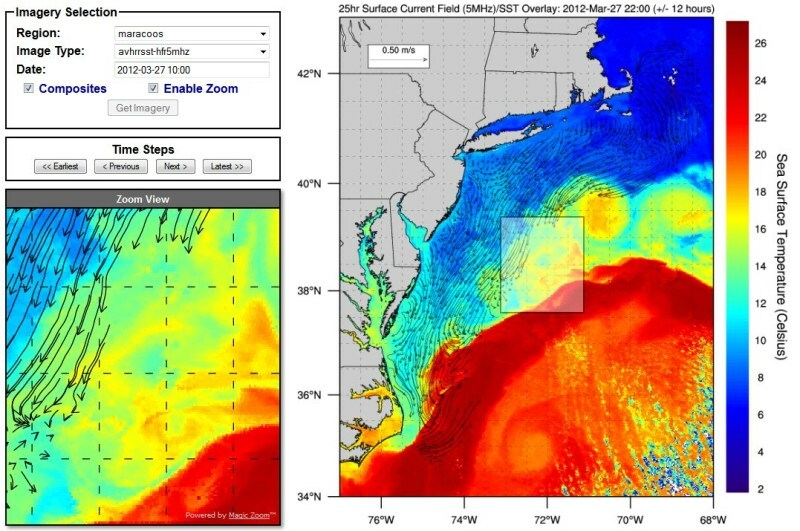 We also create and distribute real-time imagery of sea-surface temperatures overlaid with the current maps. This imagery is created using the NCAR Command Language (NCL) and is available though this web interface. Rutgers University undergraduates regularly use these datasets and imagery in class research projects, and we believe that these types of products greatly increase their ability to quantify and understand oceanographic processes. In 2011, the RU-COOL AUV glider operations team deployed 36 gliders in the Southern Ocean, Mid-Atlantic Bight, Atlantic Basin, California, and the Ross Sea. 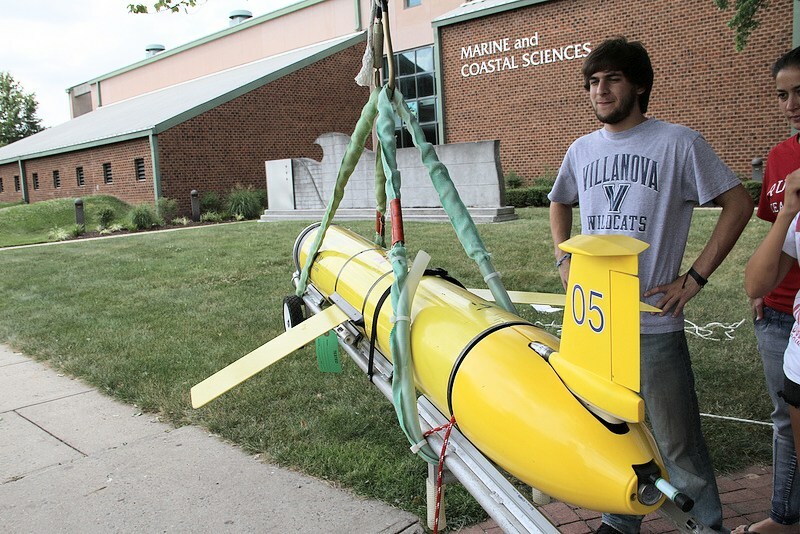 With the number of deployments steadily increasing every year, the new compute server has expanded our capability to acquire and process these datasets in real-time, making imagery available to researchers and the public at http://marine.rutgers.edu/cool/auvs. Our processing requirements will continue to increase over the coming years, but we have not yet outgrown the processing resources that this machine provides. The second server purchased with Unidata Equipment Award funds has been deployed as a dedicated web server, hosting a variety of research, educational and outreach websites. The new machine also houses our THREDDS Data Server (http://tds.marine.rutgers.edu/thredds). Our TDS currently provide satellite observations, surface current fields, AUV datasets, and model runs. The aggregation power the TDS provides for these types of datasets is invaluable; however, we are continually working to overcome issues we are seeing when aggregating these large time-series products. We have been working with members of the Unidata THREDDS team to resolve these issues and are confident that we will be successful. Looking towards the future, we have plans to expand the datasets we make available via our TDS to include all of our AUV deployments, raw radial current measurements from the radar systems, the high-resolution surface current maps in the previously mentioned port/estuary areas and a merged product containing measurements from all 3 of the radar networks. We have been working closely with motivated undergraduate and graduate students to train them of the structure and use of these datasets and have seen an increase in the number of students working with them.